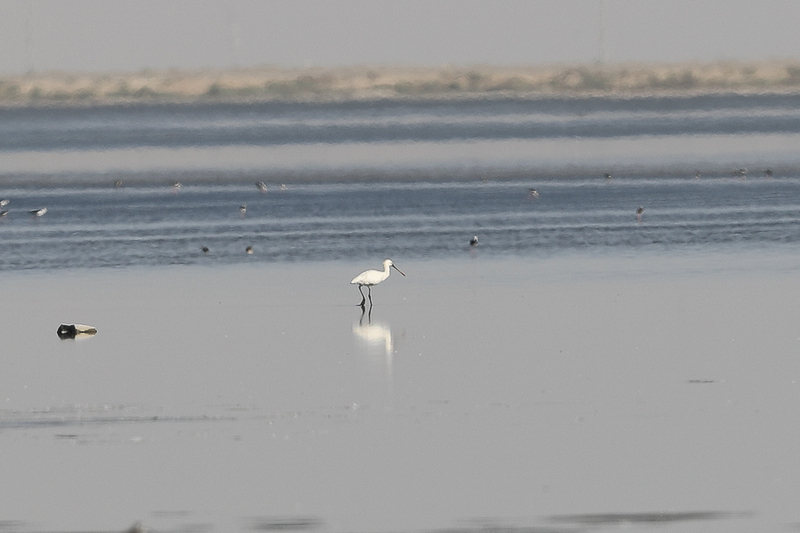 I was birding the Jubail area when I found an immature Eurasian Spoonbill on a wet Sabkha area. The status of the species has changed over the years in the Eastern Province and is now an uncommon visitor in all months to the province. Jubail is the best location to see the species in the Eastern Province but it is far from guaranteed here being only see on a few days per year. Most records in the spring and summer refer to immature birds suggesting breeding nearby somewhere. The closest breeding areas I know of are in Kuwait so birds may have come from there and headed south down the coast. A week later I saw two immature Eurasian Spoonbills in a similar area.